Today at the Television Critics Association meeting, a nice surprise greeted those in attendance during Showtime’s presentation. Kyle MacLachlan, the star of Twin Peaks in its original run has signed a deal to headline the new series that’s coming to the premium channel next year. 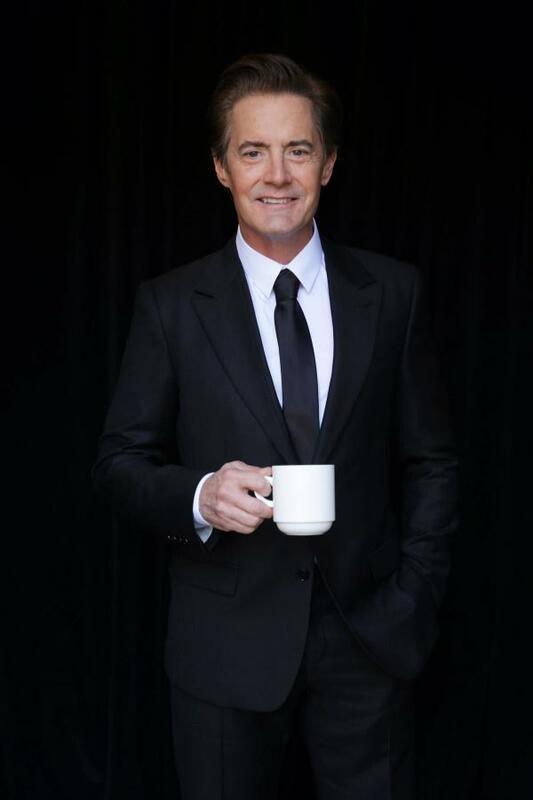 MacLachlan came out unannounced, in full Dale Cooper’s signature attire, and offered Showtime head David Nevins coffee while saying his iconic “Damn good coffee” phrase. As was reported months ago when it was first announced, Showtime’s iteration of Twin Peaks will take place over 20 years after the conclusion of the second season…where we left Agent Cooper in a not so great spot. You can currently see MacLachlan on Agents of S.H.I.E.L.D. which resumes its second season on March 3rd. Now, I’m just waiting for that Dana Ashbrook/Bobby Briggs announcement. I’ve been practicing my jailhouse bark for years.